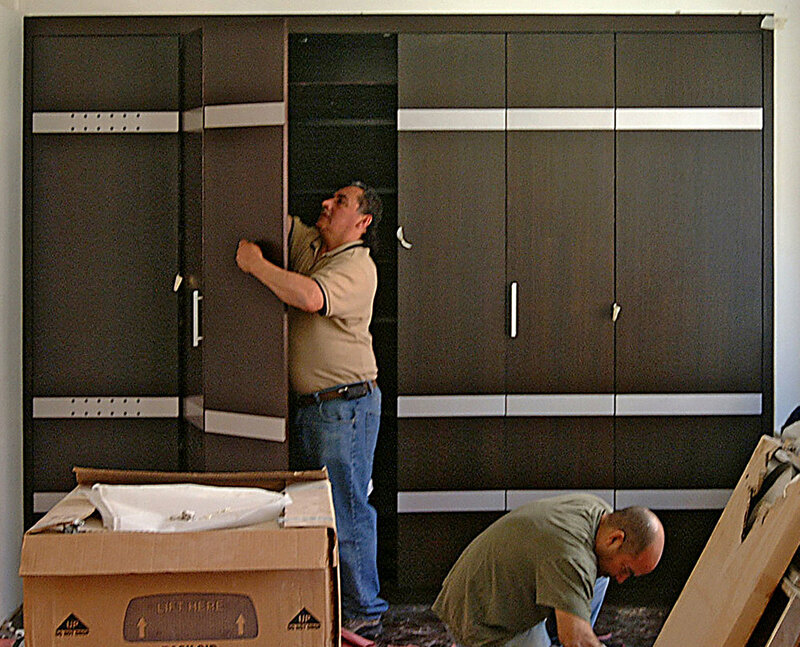 In addition to our furniture making, Sentient can build and install custom millwork for closets, kitchens, libraries and other built-ins. 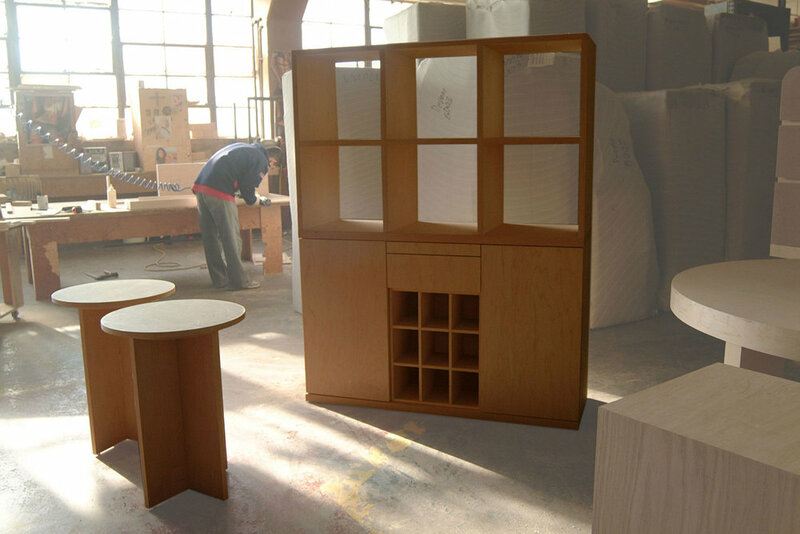 Our designers and workshop have 30 years experience working on residential, hospitality and commercial projects of any scale. 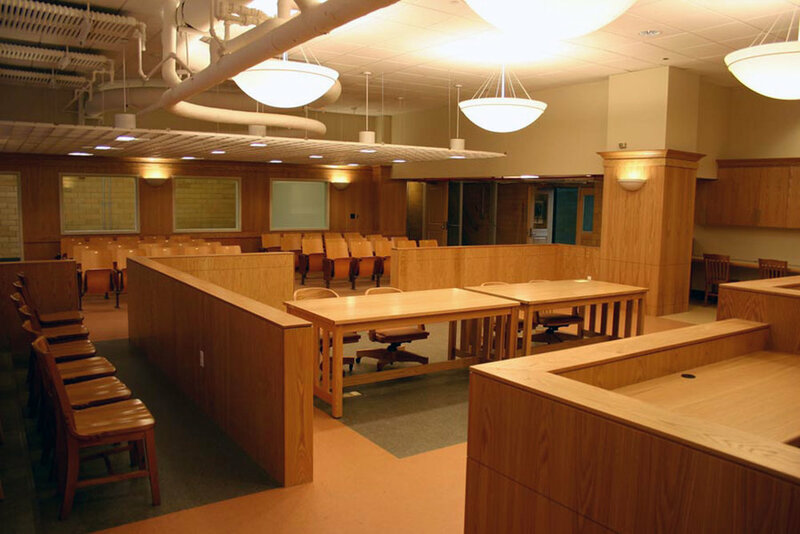 The SENTIENT Team includes designers and fabricators who can assist with all aspects of a custom millwork job. 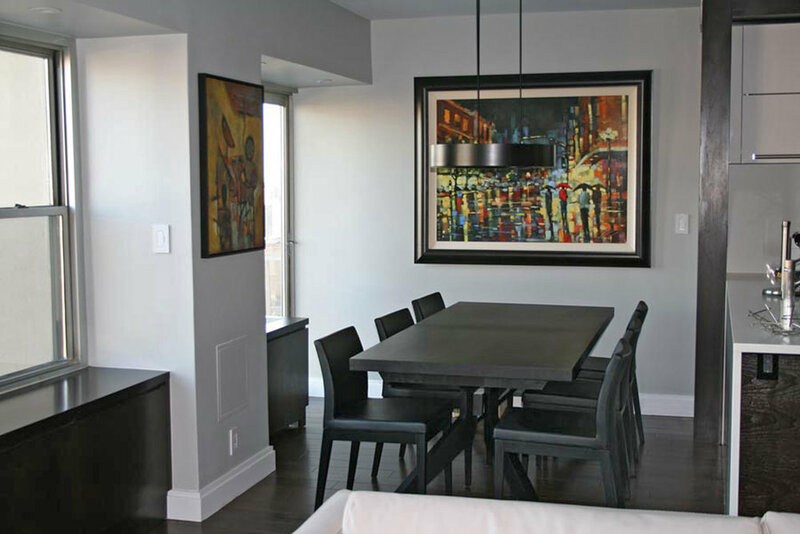 We can do field visits to take measurements, design the project, fabricate at our workshop in Brooklyn and then install on site. 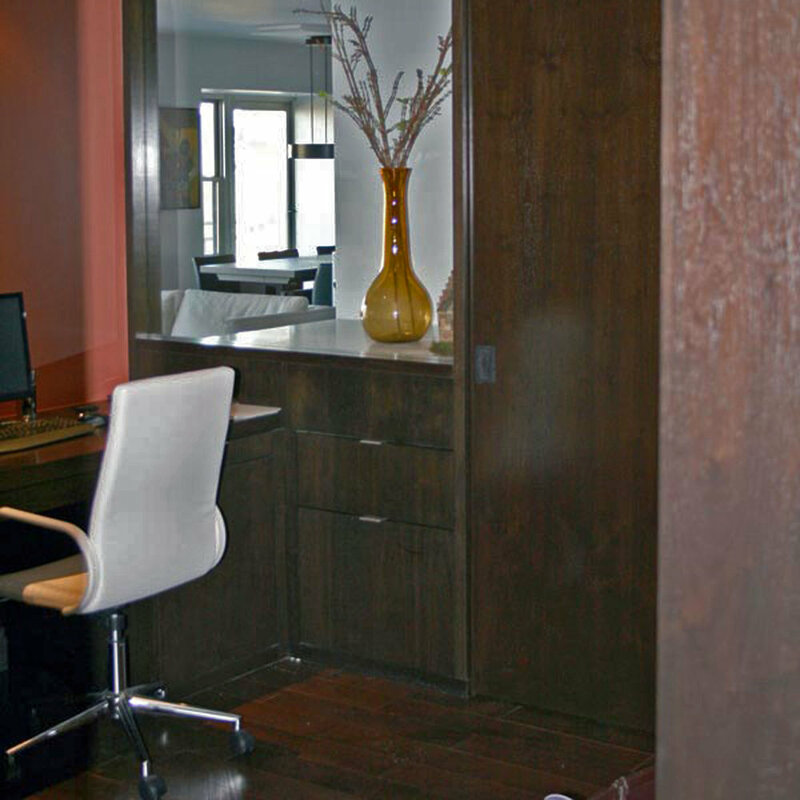 Walnut built-in shelving and computer desks for the common area at this luxury apartment building in NYC's Union Square. 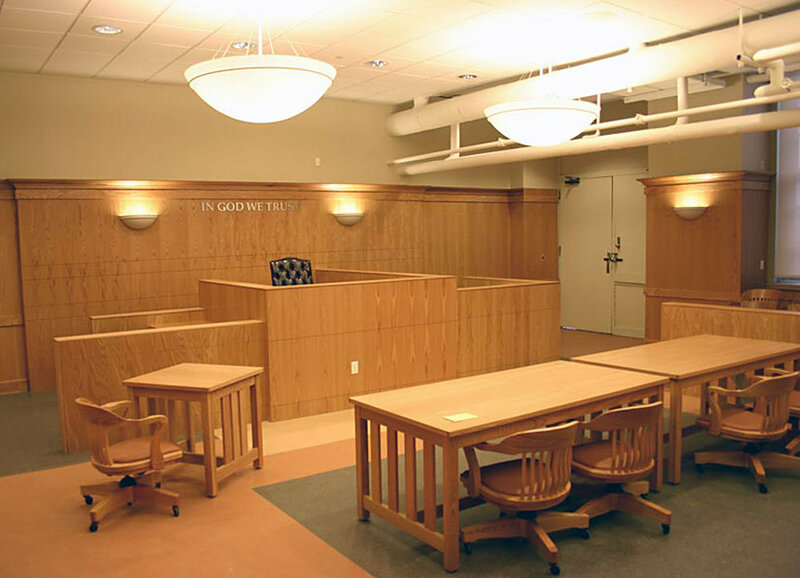 Custom millwork including white oak panelling, tables and desks for this mock courtroom at a NYC public school. 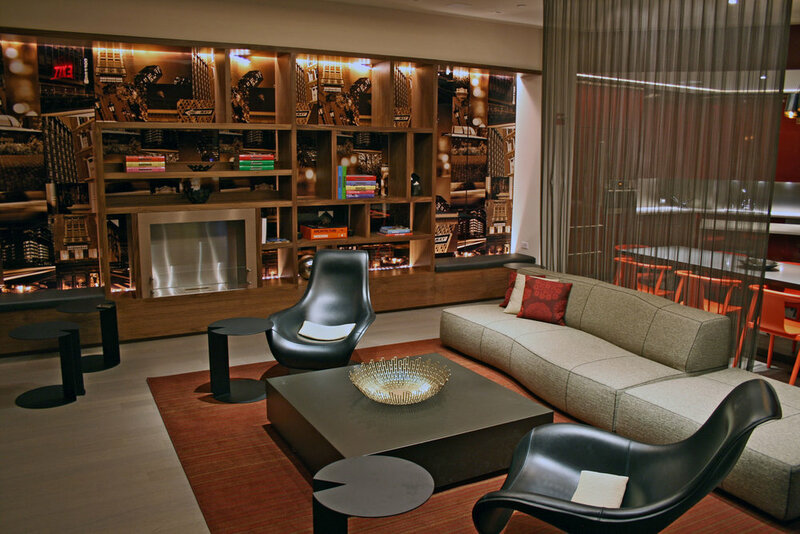 Built-in kitchen, home office and cabinetry for this apartment on New York's Upper East Side. 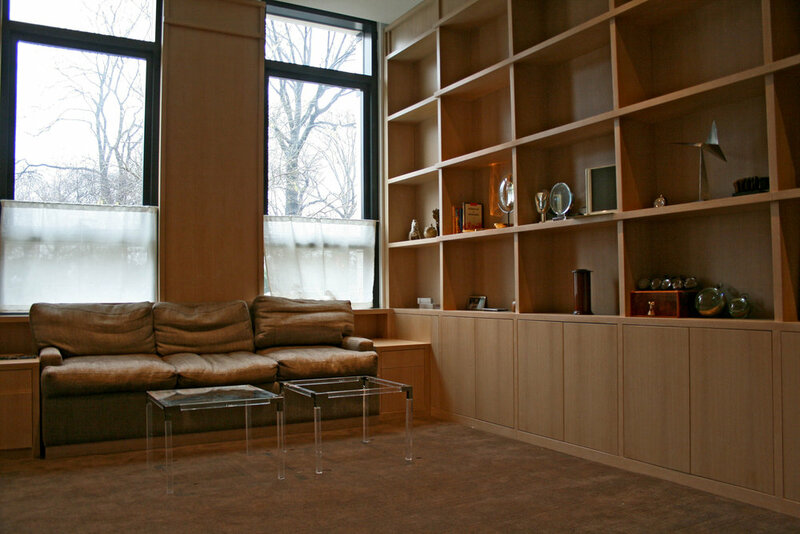 Built-in library and sofa for an apartment near Gracie Mansion. 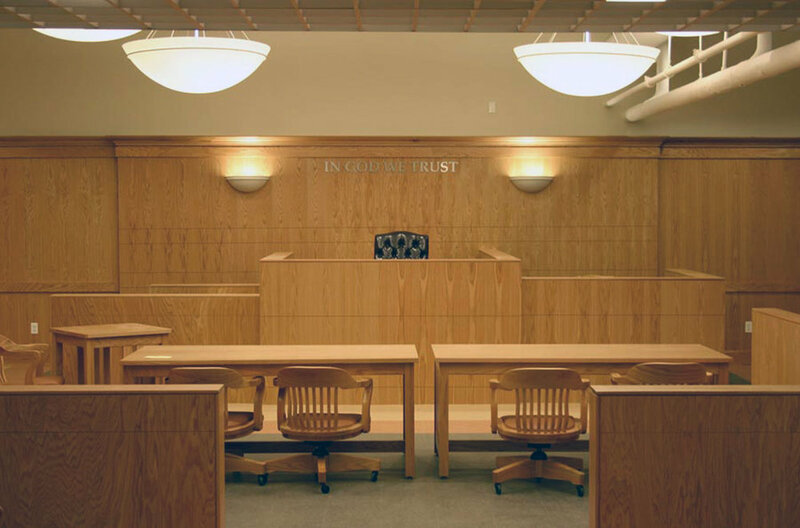 We will review your message and will get back to you in one business day. For a faster response please call 1 (888) 236.8862 Monday to Sunday, 11 AM to 7 PM EST.